Generally, tap water is not safe for goldfish right away. In most areas, water treatment plants add chlorine to the water. A very small amount of chlorine helps disinfect the water, protecting people from waterborne diseases. However, this same amount of chlorine can burn a goldfish's gills. This means that tap water requires aquarium water conditioners before it is goldfish-safe. Chlorine is the main concern with tap water. Pet shops sell chemicals called dechlorinators. These chemicals form covalent bonds with the chlorine in the water, and render it harmless to goldfish. However, some areas use chloramine rather than chlorine, so make sure that any dechlorinator you purchase will neutralize both substances. The label will tell you if it does. 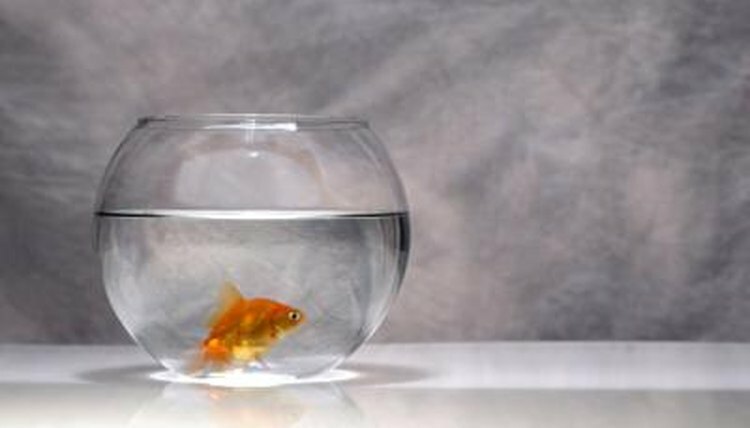 While not required, a "complete conditioner" can also help goldfish. Goldfish have a coat of slime on their bodies that protects them from infection. Getting netted and fighting with other fish, among other things, can damage this slime coat; complete conditioners can provide a temporary, artificial slime coat to protect goldfish while they replenish their own. Many complete conditioners also include a dechlorinator, which saves you a step. You can also add a small amount of salt to a goldfish's water to help keep it healthy. Use only aquarium salt, rock salt or kosher salt to avoid dangerous additives. A small amount in the aquarium water can increase oxygen absorption and promote a healthy slime coat. Use about 1 tablespoon per 5 gallons of aquarium water. But remember, salt doesn't evaporate: replace only the salt you siphon off during water changes. When adding water conditioners, follow the manufacturer's instructions carefully. With a dechlorinator, always mix the chemical in a bucket before adding it to the aquarium, so the goldfish don't have to sit in chlorinated water while you add the dechlorinator. You should also add any salt to the water before dumping it into the fish tank. Total conditioners can be added in a bucket during a water change, along with the dechlorinator, or directly to the aquarium itself. Treat any water you add during partial or complete water changes.